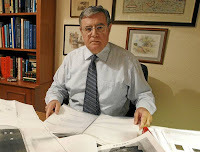 Mr. Germán S. Vázquez, co-founder of the Centro de Investigación de Objetos Voladores Inidentificados [Unidentified Flying Objects Investigation Center] (C.I.O.V.I.) in Montevideo, Uruguay, has 54 years dedicated to the investigation and study of the Unusual Aerial Phenomena, more commonly called UFOs. A UAPSG member from the beginning, Mr. Vázquez deals in the following article with a very delicate and important issue which is the respectability of the subject. "Since certain time ago, the UFO phenomenon has gained respectability. The merit of this is of those who have devoted all their efforts to do a serious research and dissemination of the information, free from sensationalism. Working often silently and other times making really needed public statements to put certain facts in their proper terms. Time, personal sacrifices, misunderstanding of some people, mockery, etc. has been the price to pay. Maybe someone was of the opinion that it was a high price, but really worth it. The current commitment is therefore very great. This gained respectability must be kept"
"The real danger lies in those who, wishing to devote themselves seriously to the task of research, due to their attitudes and behaviors, usually disoriented, contribute to a negative image, which ultimately serves to undermine such a precious respectability ..."
A long time has passed since the publication of these words but it seems that very often we have to refresh these concepts. Currently we know much more about the so called UFO phenomenon. There have been a widespread of a lot of serious information and whoever intends to venture into the phenomenon has at his/her disposal a vast amount of data, which is much more than what we possessed before. "This incident marked the beginning of the observation and investigation of unidentified flying objects by civilian scholars, a subject that until then was only of military concern"
The person who wrote this and also invites to the activity allegedly organized and directed by her, is unaware that the Arnold case has often been called. "The case that started it all ..." in the history of the UFO phenomenon, and evidently there was not any kind of interest be it official, military or of any other kind, about something that had not yet been manifested. This sort of thing should not be ignored by a serious scholar of the subject. Whoever wants to enter responsibly into the UFO subject, have first to correctly inform him /herself. This is unavoidable. To this purpose there is very good material available. "Honesty, composure and a good dose of common sense are perhaps three of the most powerful resources that has to have a person that expects to be considered a UFO phenomenon investigator. Unfortunately sometimes they are not easy to get ..."
I still keep the same opinion. 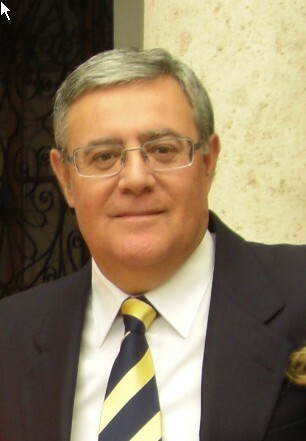 Germán S. Vázquez, co-fundador del Centro de Investigación de Objetos Voladores Inidentificados (C.I.O.V.I.) de Montevideo, Uruguay, acumula en su haber 54 años dedicados a la investigación y estudio de los Fenómenos Aéreos Inusuales, más comúnmente llamados OVNIs. Miembro del GEFAI desde el inicio, Vázquez aborda en el siguiente artículo un tema muy delicado e importante cual es la respetabilidad del tema. “Desde hace cierto tiempo atrás, el Fenómeno Ovni ha ganado respetabilidad. El mérito de esto lo tienen, fundamentalmente quienes han dedicado todos sus esfuerzos en aras de una investigación y difusión seria del mismo, exenta de todo sensacionalismo. Trabajando muchas veces en silencio y otras haciendo públicas declaraciones muy necesarias para poner determinados hechos en sus justos términos. Tiempo, sacrificios personales, incomprensión de algunos, burlas, etc. ha sido el precio a pagar. Quizás alguien opine que fue un precio caro, pero en realidad valió la pena. Actualmente sabemos mucho más sobre el llamado Fenómeno Ovni. Ha habido muchísima difusión seria y quien pretenda incursionar en él, tiene a su alcance enorme cantidad de información, mucha más de la que poseíamos en aquel entonces. Este tipo de cosas, un estudioso serio del tema no debe desconocerlas. How and when did you get the idea? When I was 17 years old I initiated my ufologic walking, it was1965. Since then, one long ufological life of 47 years has passed (1) during which I have fulfilled several stages, dedicated each one of them to a long duration project, as the study of the landing cases in Spain and Portugal (1974-1978 and 1985-1987), that generated 3 books (2), a stage centered in field investigation and in developing of investigation methodology (1979-1984), that contributed to 2 books as result of my work(3), the compilation and analysis of UFO cases with military witnesses in Spain (1988-1999), including my personal involvement in the beginning and pursuit - like informal adviser-- of the process of declassification of the UFO files of the Spanish Air Force (4), mainly. When I finalized what I consider it was the first part of my work with the files of military sightings (since it is left many material to share and to reveal to the ufological community), I decided that it was time to change of registry and thought about approaching a subject that captivated me from my beginnings in ufology, the photographic images and films of UFOS. It was then the year 2001. How many photographs did you begin with? The initial idea was simply to organize and to catalogue several hundreds of photographs of UFO case that I had, in a special file. Although the photos never have been a fundamental reason for my interest, yes it is true that in the first three decades of my ufologic practice I tried to get copies of the original photographs of supposed UFOS, which were apparently extraordinary. Its attractiveness transcended my liking by the subject, it was an artistic, plastic attraction. In the same way as Kandinski, Picasso or others fascinated me, I was seduced by the images of presumed flying saucers. I kept them until they reached the point of a more than acceptable collection, but about which I did not do nothing else than to accumulate them. Once the graphical material took form in a computerized inventory, I thought about the possibility of a long term project that would consist of a revision of world-wide UFO literature in several languages - specialized books and magazines-- to extract all the information on photographic sightings, creating an individual physical file that gathered all the published history about each case. The logistics until the present is that I have reread or consulted 225 books in English, French, Italian, German, Portuguese Spanish, etc., as well as I reviewed 50 collections of specialized magazines of EE.UU., France, Spain, England, Canada, Sweden, Russia, Australia, Italy, Chile and other countries, published since 1948. It is said easily, but it has been a tremendous work. And the knowledge yes occupies place, as a matter of fact I dedicate a complete room to these files. How many photos does the catalog currently have? In addition to 200 folders that group the files of the cases, by country or date, the catalog (FOTOCAT) in itself is a table of Excel that has 28 columns of data; the 7 first contain control data and information for the author, followed by 17 columns of basic data about the observed phenomenon: date, hour, place, duration, geographic codes, name of the photographer, landing, aerial photograph, singular data, references and other information. At the time of printing, each record - there is a record for each event, concretely one for each series of photos, this means that a sighting can produce multiple records—is formatted in three pages in total. Finally, 3 other columns, which are not printed, gather some complementary data that is useful. Complementing the file in paper they are the files of slides and that of digital images, this last one is still in process of chronological arrangement and to be ordered by country. Many thousands of original slides and digital are the graphic support of the catalog. As of to date (2012 July), FOTOCAT has nothing less than 11,050 records or reports. The total number of photos could arrive at 50,000. The organization of the vast volume of visual information is in different phases, according to the country, since we have spent more time in one country than in other, but – along the time we hope to have a perfect systematization of the graphical information. The catalog begins with the first known photo of a UFO (year 1762) and comes to an end --as a general rule—on December 31st. 2005. Why such date? At the end of that year I decided to make a cut as to the admission of new cases to the catalog, when I saw that in the twenty-first century, the vast majority of-many-pictures that were known (mostly via the Internet) were pure garbage: birds ---some of them frozen in flight using digital photography. I thought that if it has to be comprehensive it was necessary to set a date to cut it. However, there are some exceptions, due to several factors, such as Argentina, that ends on December 31, 2006 and Spain that ends on December 31, 2008. At the moment, there is no deadline for cases of ball lightning or military sightings or landings in Spain. The FOTOCAT matrix creates more than 300,000 data (11,050 cases X 28 columns), a true mine of information that - when the project would be finished, will be sent over the Internet completely and obviously free. It is an example of public service, not only for the sake of its own definition, but also by the hundreds of contributors who sent regularly photo cases to this big to catalog that every day -as if it were a living creature-- is evolving and growing visibly. Do you arrive to some conclusion from all these photos ? I have dedicated over 10 years to this project and the findings verify the assessment of experts that the reliability of graphic documents of UFOs, as a rule, is not more valid than the testimony of eyewitnesses, due to the high margin of error, and specifically about the photos, due to hoaxes. But for the first time, the published works (see references as well as my book list starting in 2003) provide a big amount of fresh information, analytical data and research that no doubt will be of interest to the student of the UFO phenomenology. There is a lot to be done, many critical periods to be analyzed, many countries to consider, many comparisons to be made between regions, years, types of cases, etc.. In spite of all that have been accomplished, it is little compared with what lies ahead. For sure in the coming years we will be able to isolate and draw some general and clever conclusions. So far, this research process also involves the collaboration of technicians and specialists who analyze noticeable cases, classic or potentially valuable, and whose opinions are appearing on the blog FOTOCAT, solving or confirming sightings. 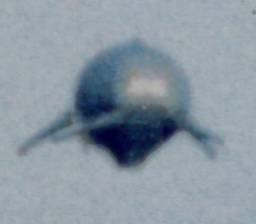 Is it there one or a group of photos of alleged "UFOs" which are really valid as graphic evidence of something strange in the skies? It is evident that the global casuistry mix contains some examples of phenomena of difficult appraisal, which is a spur to further investigation of such kind of reports. The problem is that in some of the better unidentified cases (e.g. Cocoyoc, Mexico, 09/10/1990, or Alfena, Portugal, 11/03/1973), the shape and dynamic feature of the objects filmed are similar to hot air balloons; in other situations, such as the classic events of McMinnville, Ohio, 05/11/1950 or Great Falls, Montana, 08.15.1950, --to name a couple of them in the United States--, those are very controversial and very disputed cases for which reasonable alternative explanations have been given. What it seems clear is that the best photographic evidence is in the oldest events, just when film media (either photography or movie) were of lower quality. At this moment I cannot pronounce myself for "best photos" because the pending task of analysis is still big. How the catalog could be accessed? Beyond the accumulation of photos with details of who, when and where they were taken, what other scope has FOTOCAT? FOTOCAT itself could be an ultimate end in itself-and is the largest global database on this category of sightings, but I see it as a database for the generation of thematic, regional or year, of which have already been published several, a study of UFO photographs taken in Argentina in 1965 (5), a collection of cases of the global wave of 1954 (6), catalog and photographic analysis of reports generated in France (7), spheroids photographed from the air (8), catalog and analysis of UFO events and phenomena Hessdalen in Norway (9), and several others in various stages of preparation, some of them in collaboration with leading international researchers. Also during these years, in the blog of the FOTOCAT project has been published brief studies on the casuistry of countries (Finland, Australia) on "repeaters" in photography, IFOs vs. UFOs, distribution of reports by decades, and many other topics related to the UFO phenomenon as a global one in relation to the pictures taken. Would you like to add any other details or comments? FOTOCAT is a project that requires enormous amounts of energy, dedication and work. Therefore my research over the years has gone also in another direction, as could be predicted by someone who knows me well, and I have written several essays on casuistry, research and history . I want to highlight a review of the process of declassification of UFO files worldwide (10) and my recent contribution to a collective work on a book about which Jerome Clark just say this: : I hesitate not a moment to pronounce this among the most significant UFO books ever written… (11). The work that lies ahead for FOTOCAT is immense, the search in books and magazines for photographic cases seeking to add to the list, mail with national scholars to exchange information and establish the sample reports for countries, reporting topics (UFOs in Antarctica, 1947, Chile, ball lightning, the Belgian wave, Great Britain, etc..). The collaboration of researchers is much appreciated, and the role they can play in expanding the catalog can be special, so I end this interview by welcoming any collaboration with this project. (2) A Catalogue of 200 Type-I UFO Events in Spain and Portugal, Center for UFO Studies (Evanston, Illinois), 1976.OVNIS: el fenómeno aterrizaje, Plaza y Janes, SA (Barcelona), 1978. Enciclopedia de los encuentros cercanos con OVNIs (with Juan A. Fernandez), Plaza y Janes, SA (Barcelona), 1987. The three books were prefaced by Dr. Jacques Vallee. (3) Los OVNIS y la ciencia (with Miguel Guasp), Plaza y Janes, S. A. (Barcelona), 1981 (foreword by Dr. Richard Haines).Investigación OVNI, Plaza y Janes, Inc. (Barcelona), 1984 (foreword by Dr. J. Allen Hynek). (4)Expedientes insólitos, Temas de hoy (Madrid), 1995 (foreword by Javier Sierra and epilogue by Dr. Jacques Vallee). (5) "Argentina, The Year 1965 in Photos"
"Argentina, El año1965 in fotos"
(6) "The Year 1954 in Photos (Expanded)"
Este es un reportaje exclusivo que el Coordinador Internacional del UAPSG-GEFAI, Lic. Milton W. Hourcade, le acaba de hacer al gran investigador y estudioso español Vicente-Juan Ballester Olmos, responsable del catálogo más completo a nivel mundial, de fotos de "ovni". Consideramos que la relavancia del mismo merecía una inmediata puesta al conocimiento del público y nuestros Miembros y lectores en español. ¿Cómo y cuánto te surgió la idea? A los 17 años inicié mi andadura ufológica, era el año de gracia de 1965. Desde entonces, ha transcurrido una larga vida ufológica de 47 años (1) durante la cual he cumplido varias etapas, dedicadas cada una de ellas a un proyecto de larga duración, como el estudio de los casos de aterrizaje en España y Portugal (1974-1978 y 1985-1987), que generó 3 libros (2), una etapa centrada en investigación de campo y en desarrollo de metodología de investigación (1979-1984), que aportó 2 libros como resultado de mis trabajos (3), la recopilación y análisis de casos OVNI con testigos militares en España (1988-1999), incluyendo mi involucración personal en el inicio y seguimiento -como asesor informal- del proceso de desclasificación de los archivos OVNI del Ejército del Aire español (4), principalmente. Cuando finalicé lo que considero es la primera parte de mi labor con los archivos de avistamientos militares (ya que queda muchísimo material por compartir y mucho que desvelar aún a la comunidad ufológica), decidí que era hora de cambiar de registro y pensé en abordar un tema que me cautivó desde mis comienzos en ufología, las imágenes fotográficas y en película de OVNIS. Fue el año 2001. ¿Con cuántas fotografías lo comenzaste? La idea inicial era simplemente organizar y catalogar varios cientos de fotografías de casos OVNI que tenía en un archivo especial. Aunque las fotos nunca han sido motivo fundamental de mi interés, sí es cierto que en las primeras tres décadas de mi práctica ufológica traté de hacerme con copias de originales de fotografías de supuestos OVNIS, aparentemente extraordinarios. Su atractivo trascendía mi afición por el tema, era una atracción artística, plástica. De la misma manera que Kandinski, Picasso u otros me fascinaban, las imágenes de presuntos platillos volantes me seducían. Las fui guardando hasta llegar a una colección más que aceptable, pero sobre la que no hice nada más que acumularlas. Una vez que el mater ial gráfico tomó forma en un inventario computarizado, pensé en la posibilidad de un proyecto a largo plazo que consistiría en la revisión de la literatura OVNI mundial en varios idiomas –libros y revistas especializados- para extraer todas las informaciones sobre avistamientos fotográficos, creando un archivo físico individual que recogiera todo lo publicado en la historia acerca de cada caso. La logística hasta el presente es que he releído o consultado 225 libros en español, inglés, francés, italiano, alemán, portugués, etc., así como repasadas 50 colecciones de revistas especializadas de EE.UU., Francia, España, Inglaterra, Canadá, Suecia, Rusia, Australia, Italia, Chile y otros países, editadas desde 1948. Se dice fácilmente, pero ha sido un ímprobo trabajo. Y el saber sí ocupa lugar, de hecho dedico una habitación completa a estos archivos. ¿Cuántas fotos tiene ahora el catálogo? Además de unas 200 carpetas que agrupan los archivos de los casos, por país o por fecha, el catálogo (FOTOCAT) en sí es una tabla de Excel que tiene 28 columnas de datos; las 7 primeras contienen datos de control e información para el autor, le siguen 17 columnas de datos básicos sobre el fenómeno observado: fecha, hora, lugar, duración, códigos geográficos, nombre del fotógrafo, aterrizaje, foto aérea, datos singulares, referencias y otras informaciones. A la hora de la impresión, cada línea –hay una línea para cada suceso, concretamente una para cada serie de fotos, esto es un avistamiento puede general múltiples líneas o entradas- se formatea en tres páginas en total. Finalmente, otras 3 columnas, fuera del área de impresión, recogen algunos datos de complementarios útiles. Complementando el archivo en papel están los archivos de diapositivas y el de imágenes digitales, éste último aún en proceso de ordenación cronológica y por país. Muchas miles de fotos originales, diapos y fotos digitales conforman el apoyo gráfico del catálogo. FOTOCAT tiene, a fecha de hoy (julio de 2012) nada menos que 11,050 entradas o informes. El número total de fotos podría llegar a las 50.000. La organización del vasto volumen de información visual está en diversas fases, según el país que sea, ya que hemos invertido más tiempo en unos que en otros, pero –con el tiempo- esperamos tener una perfecta sistematización de la información gráfica. El catálogo comienza desde que se tiene noción de la primera foto de OVNI conocida (año 1762) y finaliza, como regla general, el 31 de diciembre de 2005. ¿Por qué esa fecha? A final de ese año decidí hacer un corte en cuanto a la admisión de nuevos casos al catálogo, cuando comprobé que desde el siglo XXI, la inmensa mayoría de las –muchísimas- fotos que se conocían (la mayoría vía internet) eran puramente basura, pájaros y aves congeladas en vuelo en fotografía digital. Creí que si debía ser exhaustivo había que establecer una fecha de corte. Sin embargo, hay algunas excepciones, debidas a varios factores, por ejemplo, Argentina cierra el 31/12/2006 y España el 31/12/2008. De momento, no hay fecha límite para los casos de rayo en bola o bien los avistamientos militares o de aterrizaje en España. La matriz FOTOCAT crea más de 300.000 datos (11050 casos X 28 columnas), una verdadera mina de información que –cuando el proyecto se considere acabado- será difundido por internet de manera completa y, obviamente, gratuita. Es un ejemplo de servicio público, no sólo por mor de su propia definición sino también por los cientos de colaboradores que aportan regularmente casuística fotográfica a este mayúsculo nomenclátor que cada día –como si de un ser vivo se tratara- evoluciona y crece visiblemente. ¿De todas ellas, sacas alguna conclusión? Llevo más de 10 años dedicado a este proyecto y las conclusiones verifican la valoración de los expertos en cuanto a que la fiabilidad de los documentos gráficos de OVNIS, por regla general, no vale más que la de los testimonios de los testigos oculares, por el alto margen de errores y, específicamente en el asunto de las fotos, de trucajes. Pero por vez primera los trabajos publicados (ver referencias, así como mi bibliografía a partir del año 2003) aportan una enorme cantidad de información fresca, datos analíticos y averiguaciones que sin duda alguna serán de interés para el estudioso de la fenomenología OVNI. Queda mucho por hacer, muchos periodos críticos por analizar, muchos países que examinar, muchas comparaciones que establecer entre regiones, años, tipos de casos, etc. A pesar de lo mucho realizado, es poco con respecto a lo que nos queda por delante. A buen seguro en los próximos años estaremos en disposición de aislar y extraer algunas conclusiones generales originales. De momento, este proceso de investigación también conlleva la colaboración de técnicos y especialistas que analizan casos notables, clásicos o potencialmente valiosos, y cuyos dictámenes van apareciendo en el blog FOTOCAT, resolviendo o reforzando avistamientos. ¿Existe una o un grupo de fotos de supuestos “ovnis” que sean realmente válidas como testimonio gráfico de algo extraño en los cielos? Es evidente que la casuística mundial contiene algunos ejemplos de fenómenos de difí cil tasación, lo que resulta un acicate para la continuación del estudio de este tipo de informes. El problema reside en que en algunos de los casos no identificados mejores (por ejemplo, Cocoyoc, México, 10-9-1990, o Alfena, Portugal, 3-11-1973), la forma y característica dinámica de los objetos filmados son semejantes a los de globos aerostáticos; en otras situaciones, como los eventos clásicos de McMinville, Ohio, 11-5-1950 o Great Falls, Montana, 15-8-1950, por citar un par de ellos ocurridos en los Estados Unidos, son casos controvertidos y muy polémicos porque se han propuesto explicaciones alternativas que parecen razonables. Lo que parece evidente es que la mejor evidencia fotográfica se halla en los acontecimientos más antiguos, justo cuando los soportes fílmicos (película fotográfica o de cine) eran de peor calidad. En este instante no me puedo decantar por “las mejores fotos” ya que la tarea de análisis pendiente es todavía inmensa. ¿Cómo se accede al catálogo? Más allá de la acumulación de fotos con sus detalles de quién, cuándo y dónde fueron tomadas, ¿que otros alcances tiene el FOTOCAT? FOTOCAT por sí mismo podría ser un fin último en sí mismo –ya es la mayor base de datos global sobre esta categoría de avistamientos- , pero yo lo concibo como un banco de datos para la generación de informes temáticos, regionales o anuales, de los cuales ya se han publicado varios, un estudio de las fotografías de OVNIS tomadas en Argentina en el año 1965 (5), una recopilación de los casos de la oleada mundial de 1954 (6), catálogo y análisis de los informes fotográficos generados en Francia (7), esferoides fotografiados desde el aire (8), catálogo y análisis de los sucesos OVNI y fenómenos Hessdalen en Noruega (9), así como otros varios en diversas etapas de su preparación, algunos de ellos en colaboración con destacados investigadores internacionales. Asimismo, durante estos años, en el blog del proyecto FOTOCAT se han publicado breves estudios sobre la casuística de países (Finlandia, Australia), sobre “repeaters” en fotografía, UFOs versus IFOs, distribución de los informes por década, y otros muchos temas relacionados con la globalidad del fenómeno OVNI en lo que atañe a manifestaciones registradas en película. Cualquier otro detalle o comentario que quisieras agregar. Siendo FOTOCAT, como es, un proyecto que demanda enormes dosis de energía, dedicación y trabajo, mi actividad investigadora estos años ha ido también por otros derroteros, como podría predecir alguien que me conozca bien y he escrito varios ensayos sobre casuística, investigación e historia. Quiero destacar una revisión de los procesos de desclasificación de archivos OVNI a nivel mundial (10) y mi reciente contribución a un libro colectivo del que Jerome Clark acaba de decir lo siguiente: I hesítate not a moment to pronounce this among the most significant UFO books ever written… (11). La labor que FOTOCAT tiene por delante es inmensa, libros y revistas por escudriñar a la búsqueda de casos fotográficos que añadir al listado, correspondencia con estudiosos nacionales para intercambio de información y asentar las muestras de informes para los países, preparación de informes tópicos (OVNIS en la Antártida, 1947, Chile, Rayo globular, la oleada belga, Gran Bretaña, etc.). La colaboración de los investigadores es muy de agradecer y el papel que pueden jugar en la ampliación del catálogo puede ser extraordinario, así que finalizo esta entrevista dando la bienvenida a cualquier colaboración con este proyecto. (2) A Catalogue of 200 Type-I UFO Events in Spain and Portugal, Center for UFO Studies (Evanston, Illinois), 1976. OVNIS: el fenómeno aterrizaje, Plaza y Janés, S.A. (Barcelona), 1978. Enciclopedia de los encuentros cercanos con OVNIS (con Juan A. Fernández), Plaza y Janés, S.A. (Barcelona), 1987. Las tres obran fueron prologadas por el Dr. Jacques Vallée. (3) Los OVNIS y la Ciencia (con Miguel Guasp), Plaza y Janés, S. A. (Barcelona), 1981 (prólogo del Dr. Richard Haines). Investigación OVNI, Plaza y Janés, S.A. (Barcelona), 1984 (prólogo del Dr. J. Allen Hynek). (4) Expedientes insólitos, Temas de Hoy (Madrid), 1995 (prólogo de Javier Sierra y epílogo del Dr. Jacques Vallée). Fotografías reproducidas: A la izquierda: Alfena, Portugal, 10 de Septiembre de 1990; a la derecha: Cocoyoc, México, 3 de Noviembre de 1973.